Get control of the Monsters. See the schedules for all staff members on a single page. 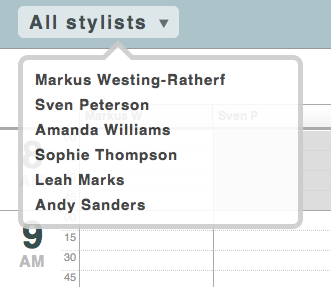 Switch easily between stylists with the staff selector. Opt between giving staff administrative access to salonMonster’s settings or just access to their schedule.